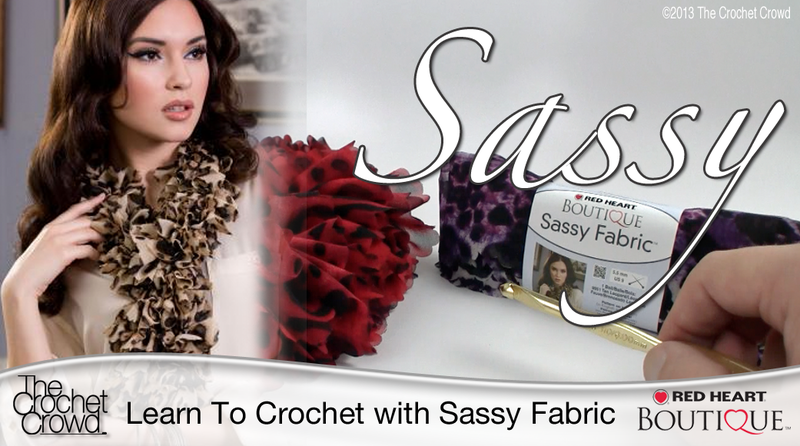 Learn how to crochet using Sassy Lace by Red Heart Boutique. New to Red Heart Boutique this year is Sassy Fabrics. You will find this new line to be really fabulous in colour blending and fashionable blending. For me, the pink polka dot version of this is really fun and vibrant. Instead of using yarn to make a scarf, you can use this fabric yarn instead. In the tutorial below, Mikey will show you how simple this is. This entry was posted in Scarves, Tutorial Videos and tagged Arts, Craft, Crochet, crochet crowd, Dance, Fabric, Mikey, Polka, Polka dot, Red Heart, Sassy Fabric, Tutorial, Video, Yarn, YouTube. Bookmark the permalink. The Sassy fabric appeared to be easy; however I am left handed and I cannot seem to get this one. Any Suggestions before I return this item to the store?